Hince, Bernadette 2014. “Seal liver and onion for dinner”: the role of food in preserving the peace on some early Antarctic expeditions. 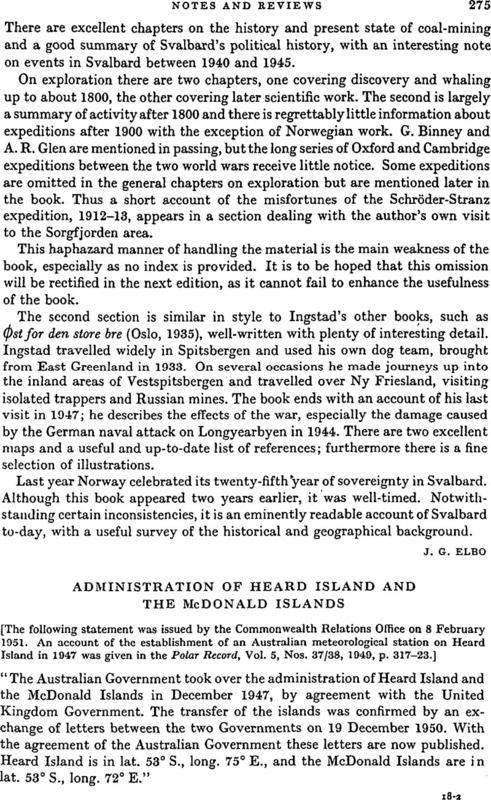 The Polar Journal, Vol. 4, Issue. 2, p. 377.
page 276 note 1 The omission in Mr Gordon-Walker's letter represented by dots recapitulates the substance of the letter from Mr Harrison given above.